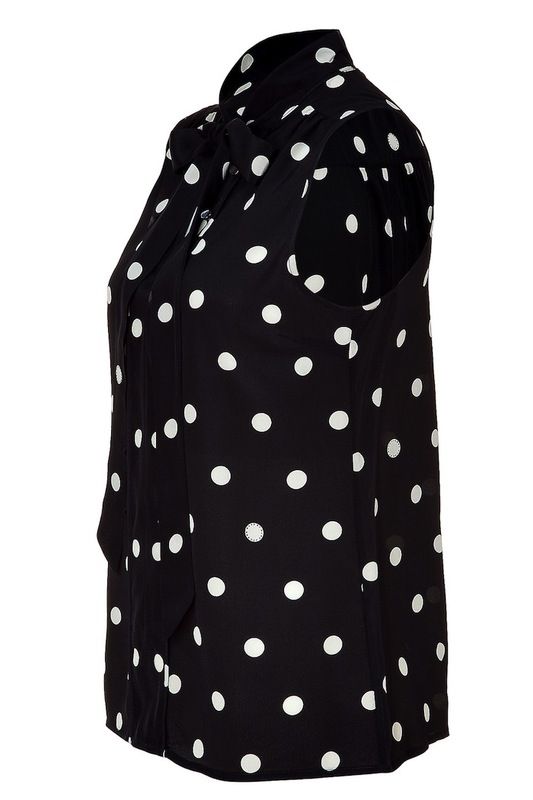 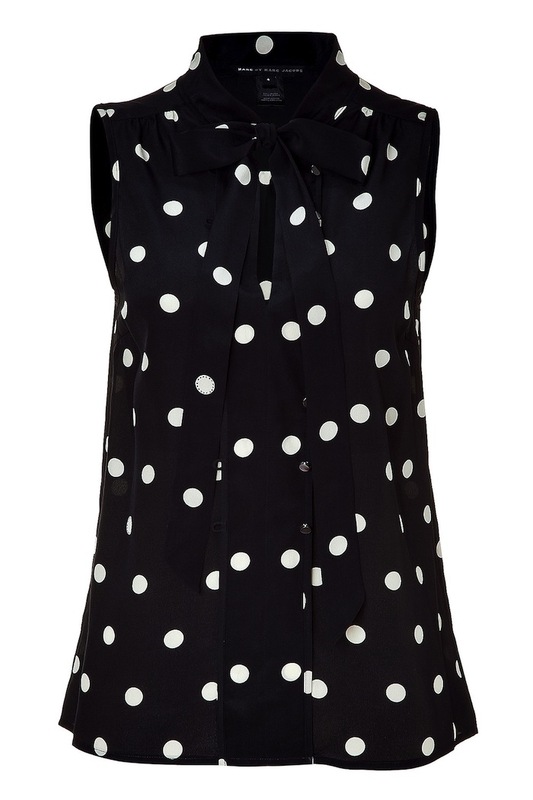 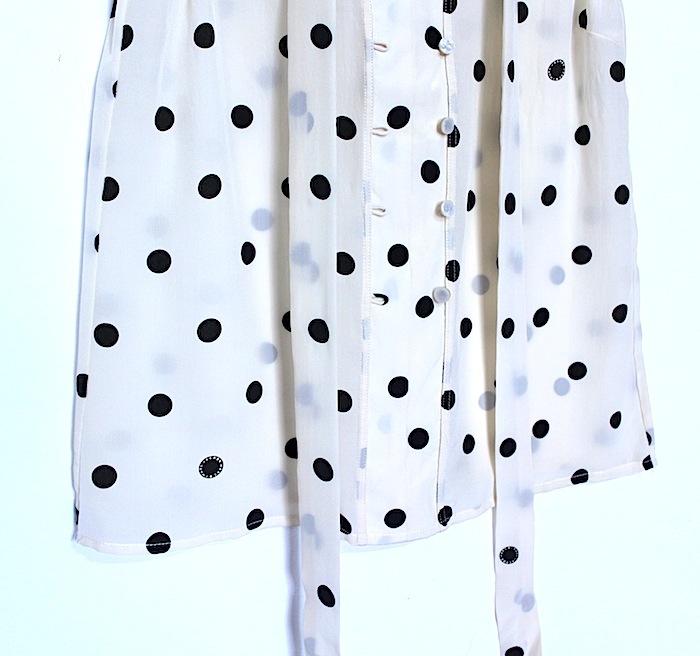 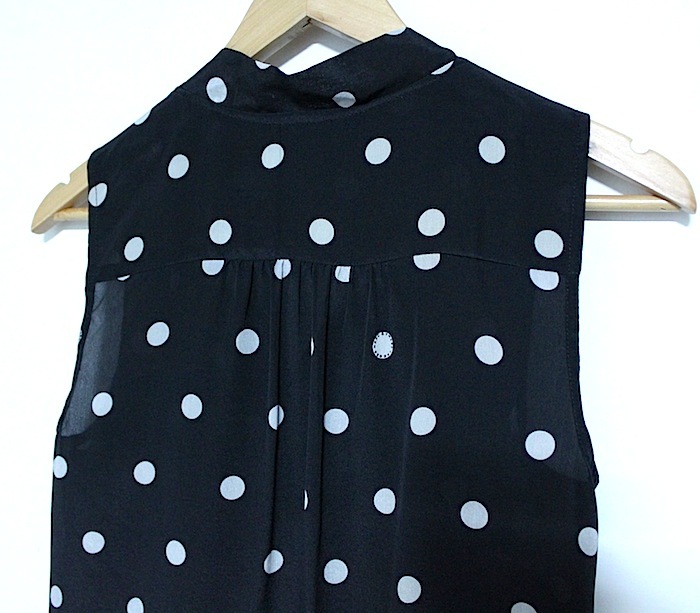 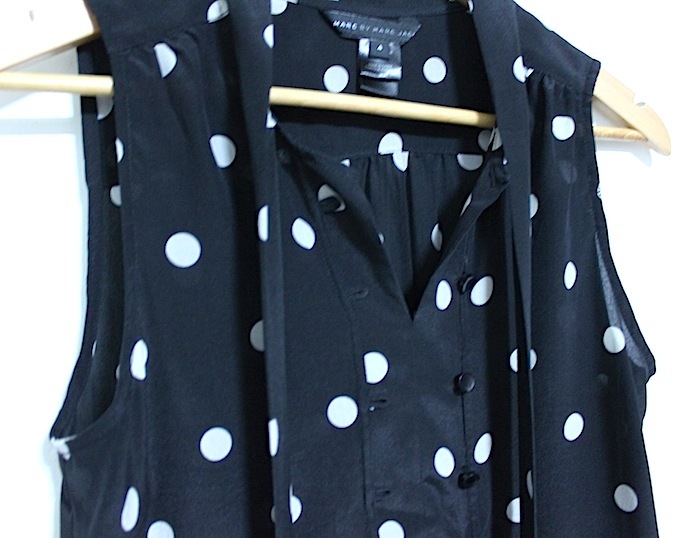 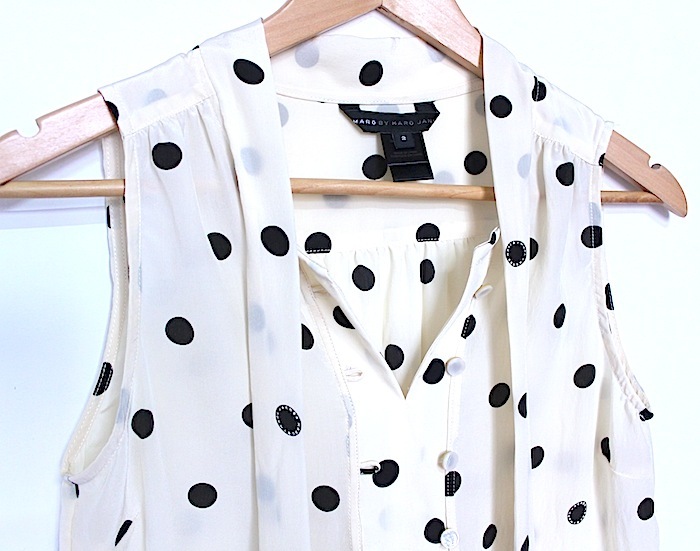 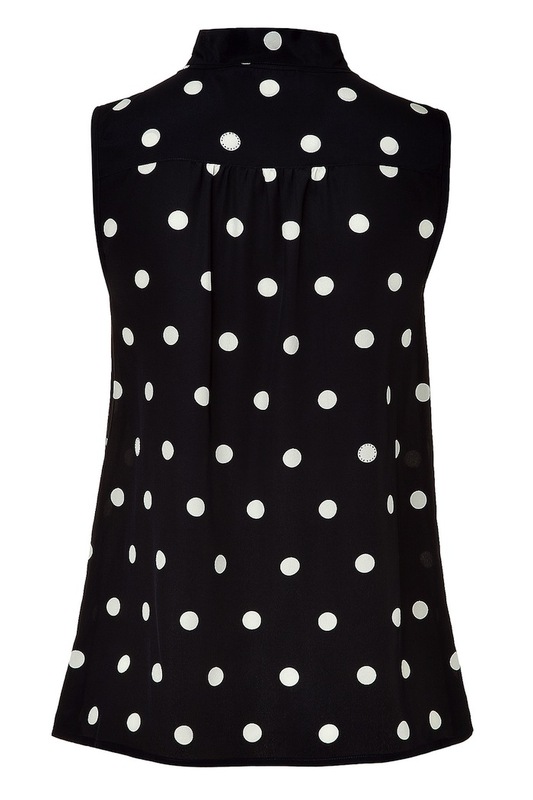 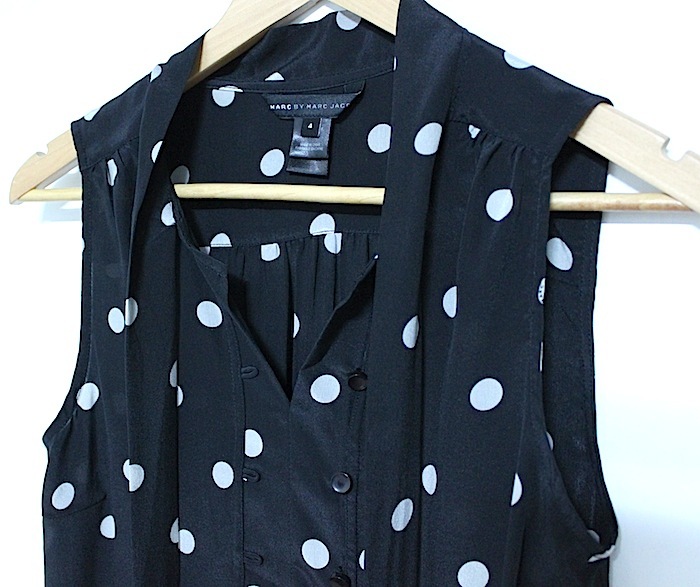 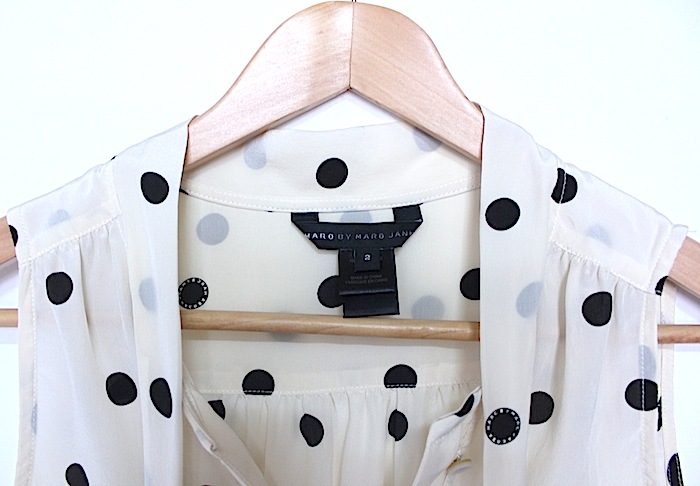 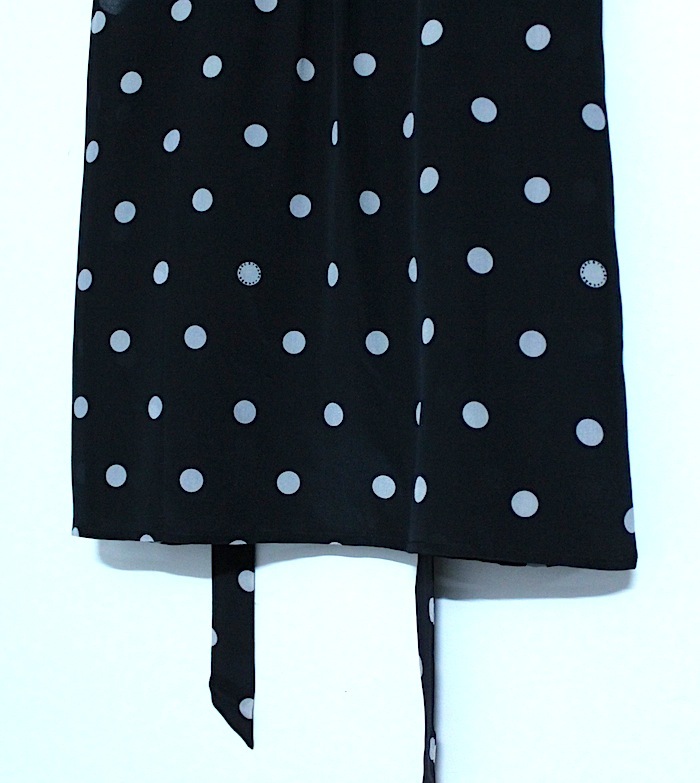 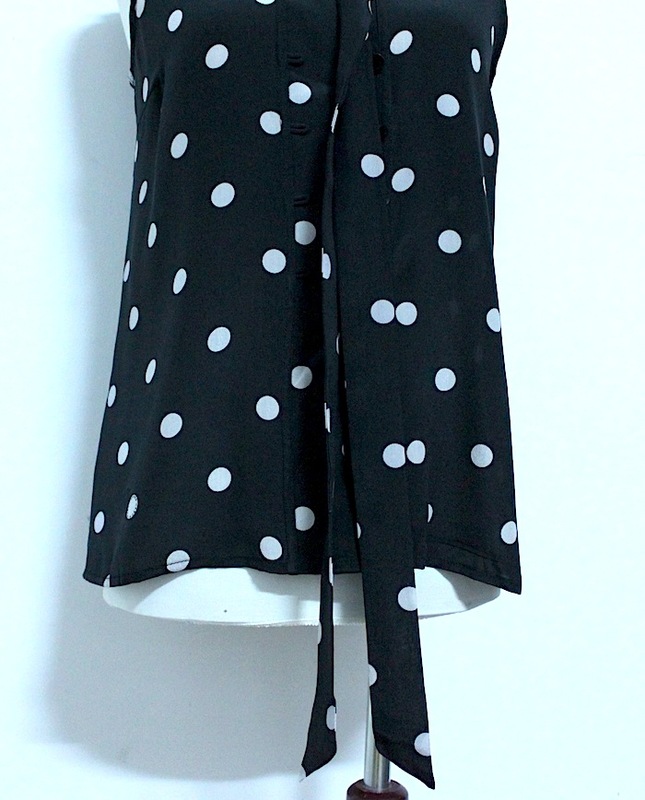 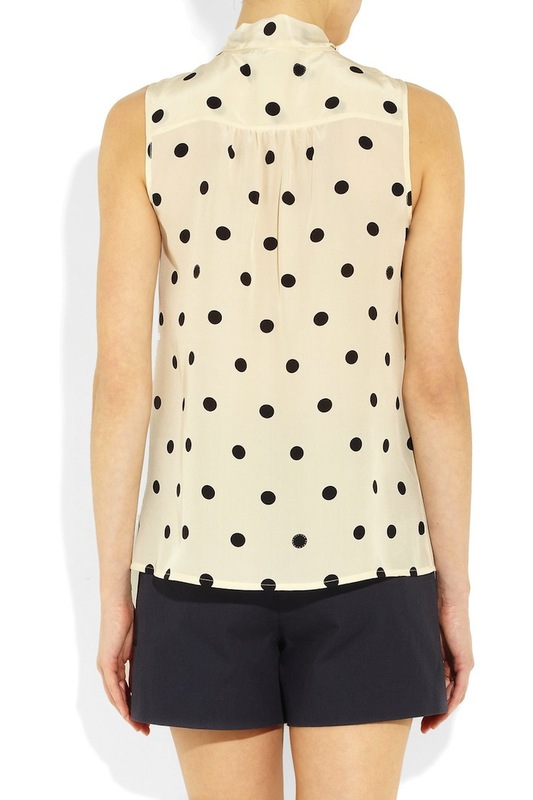 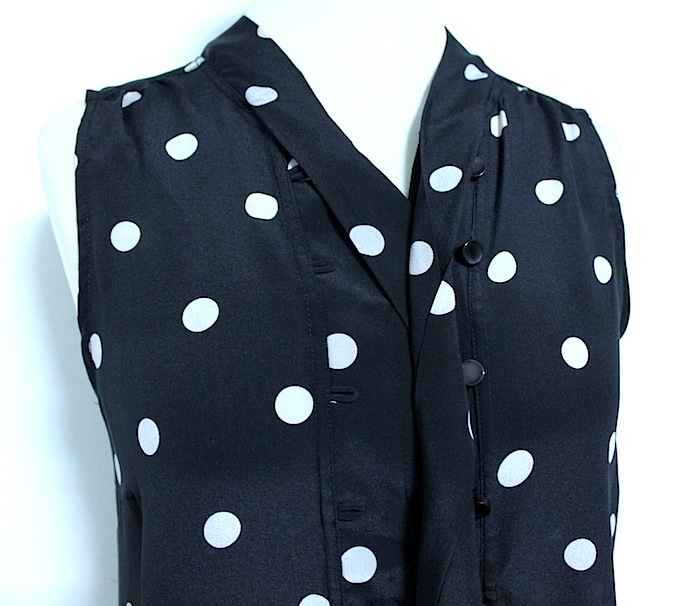 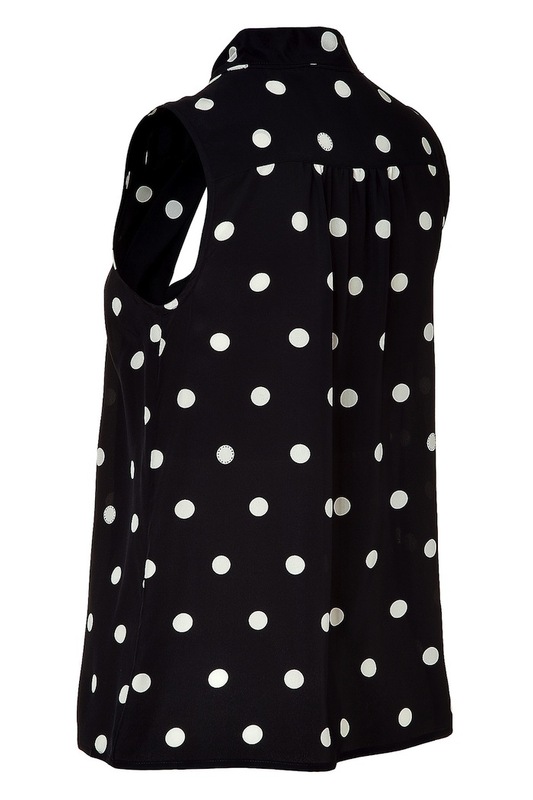 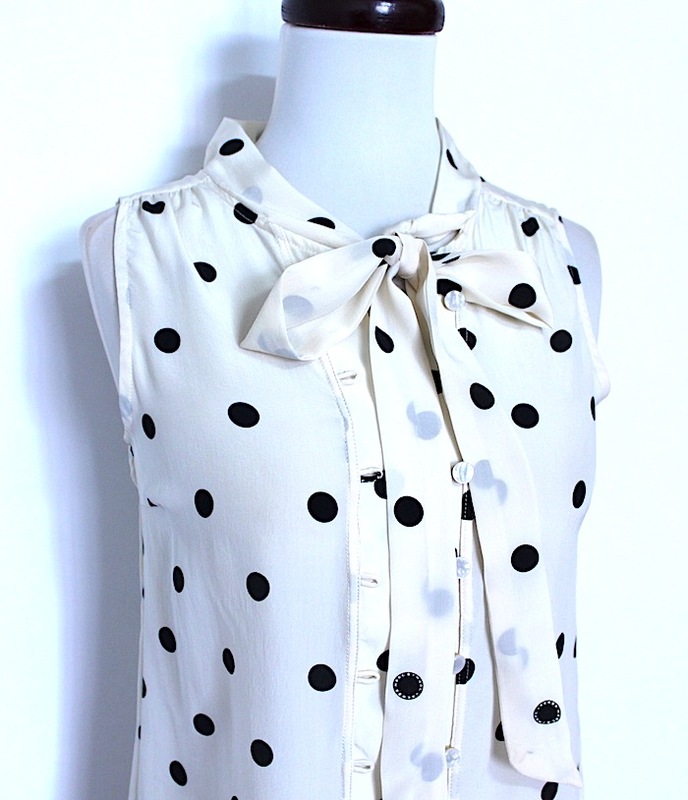 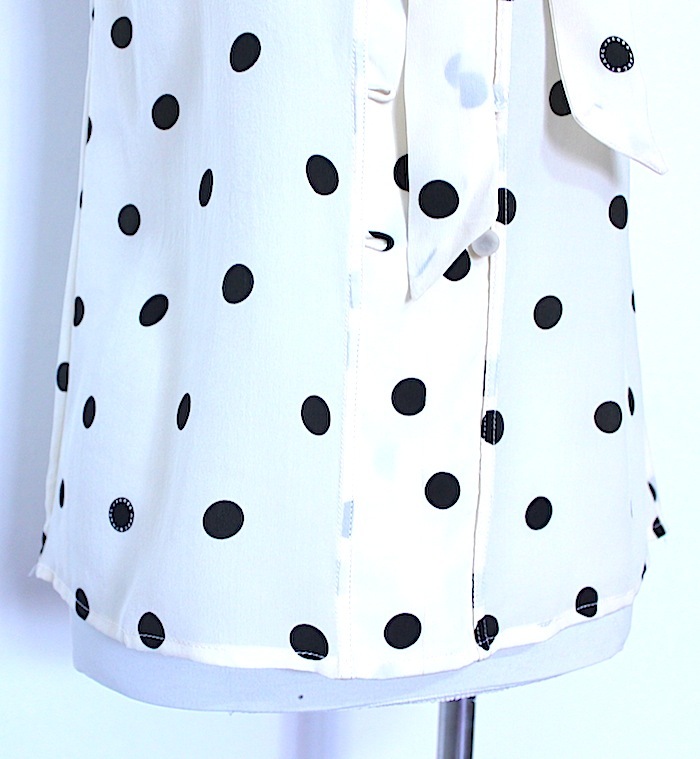 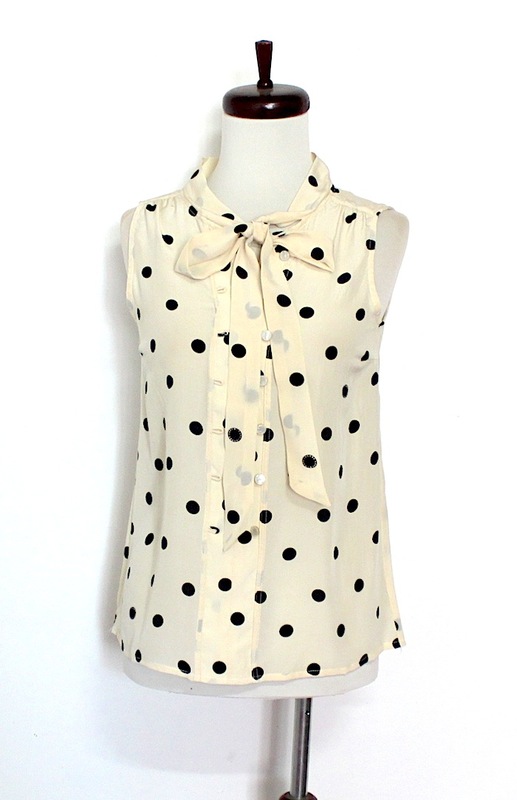 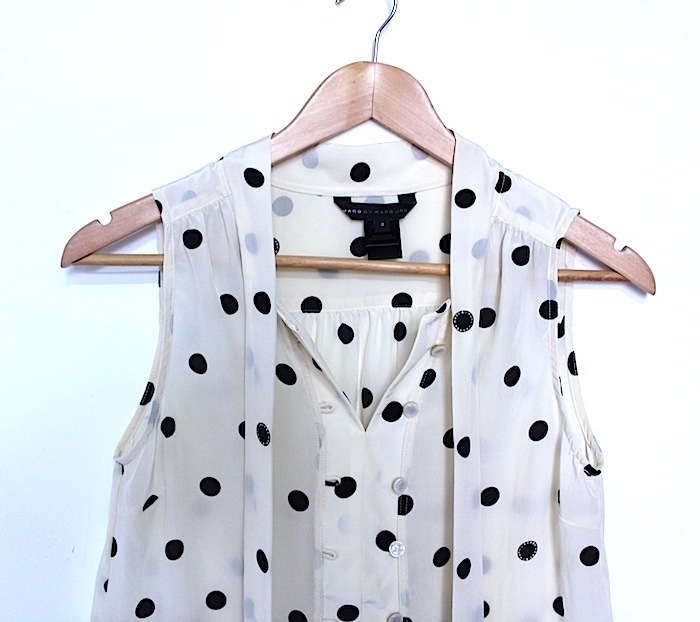 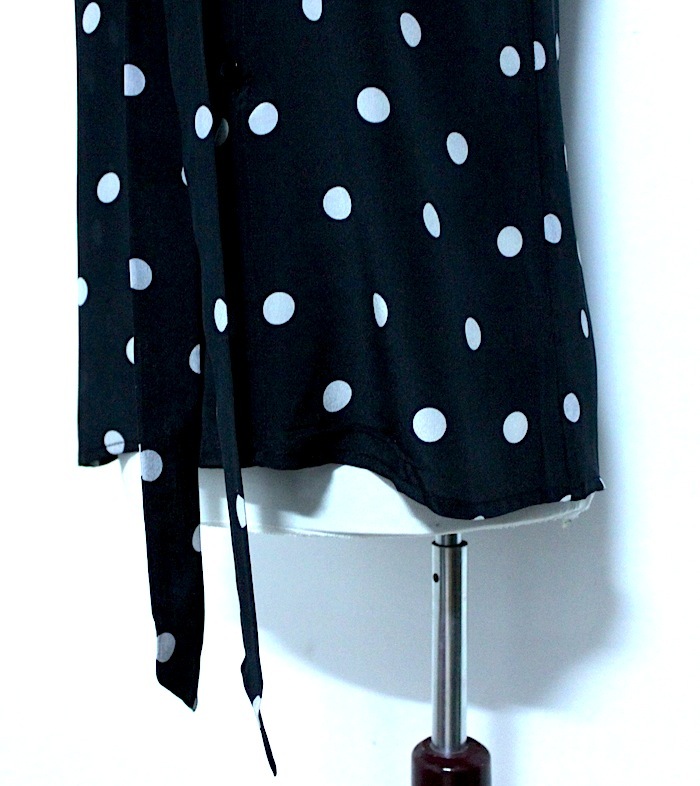 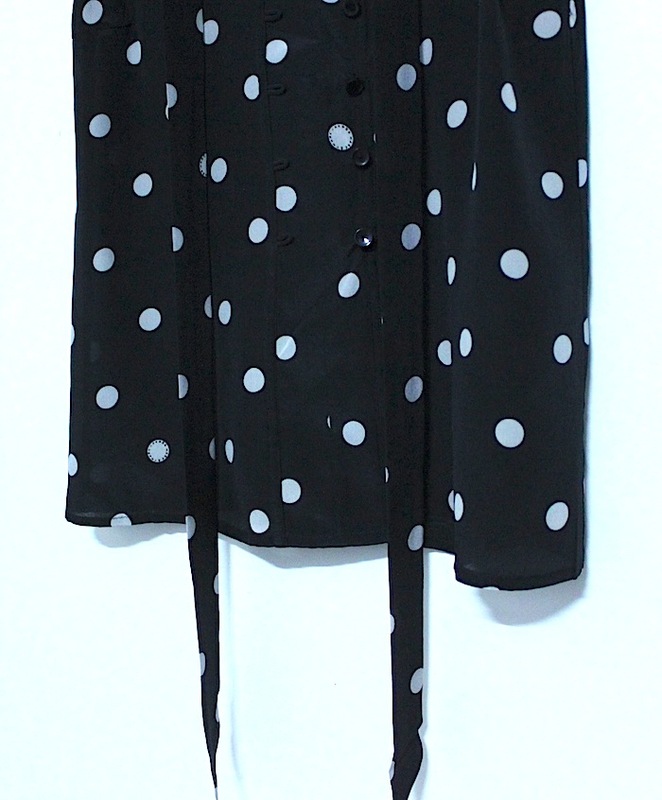 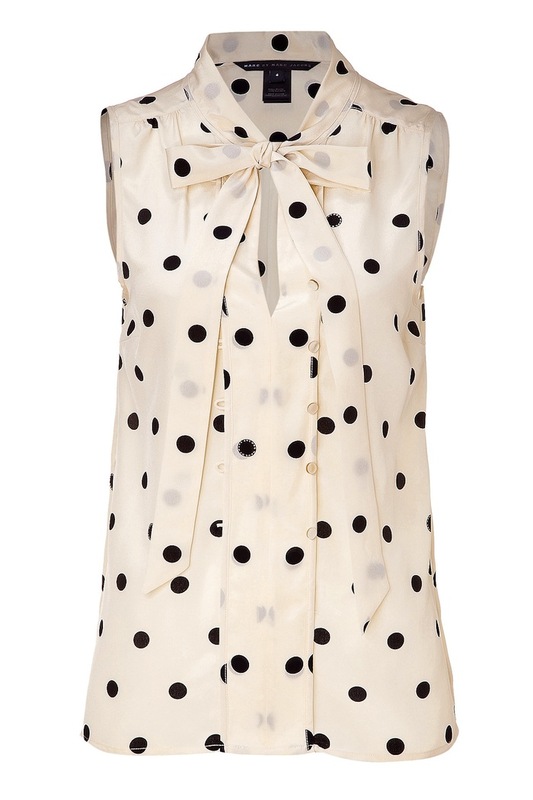 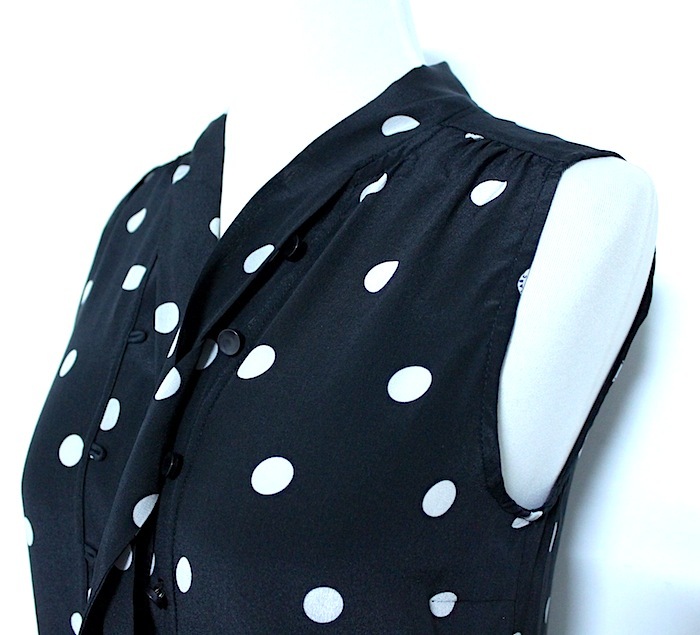 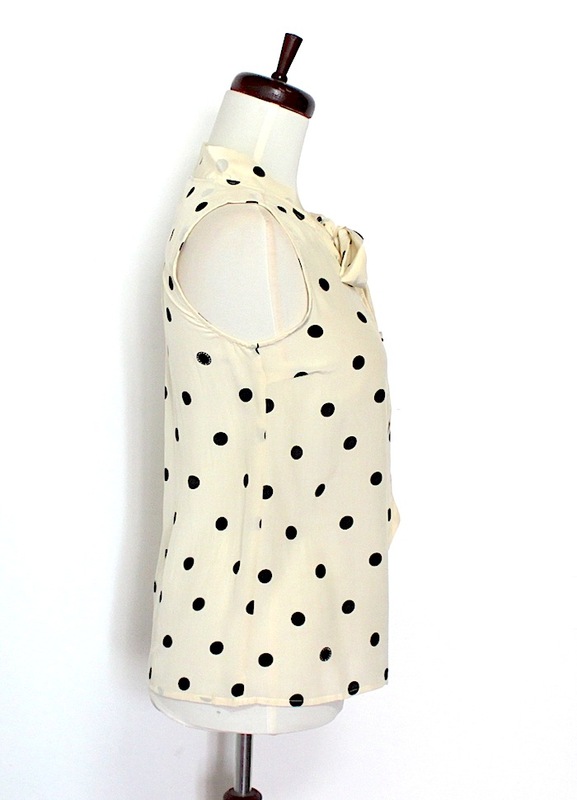 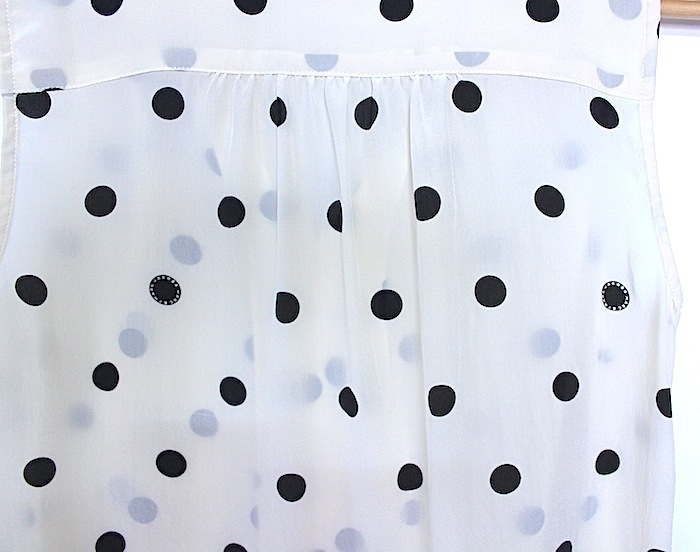 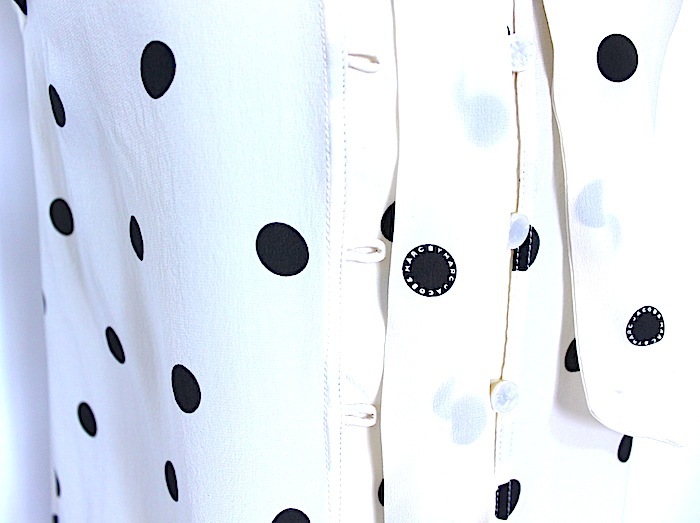 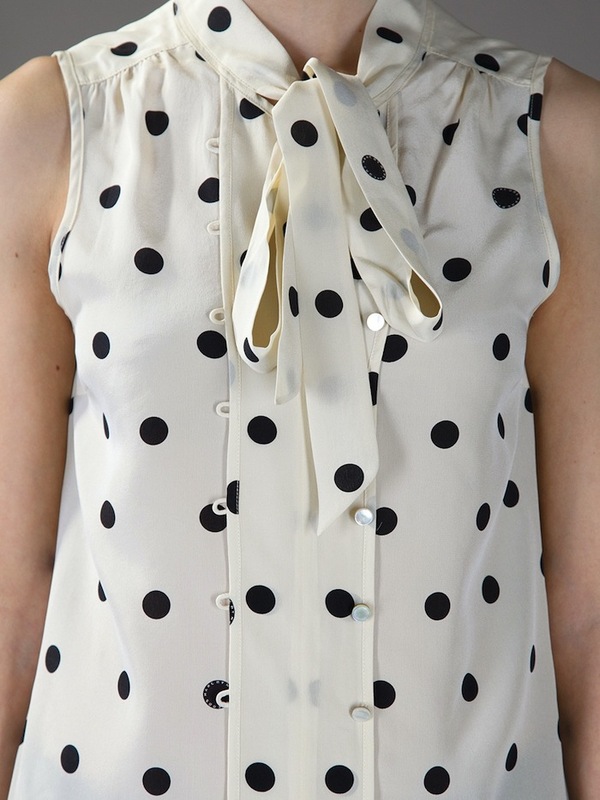 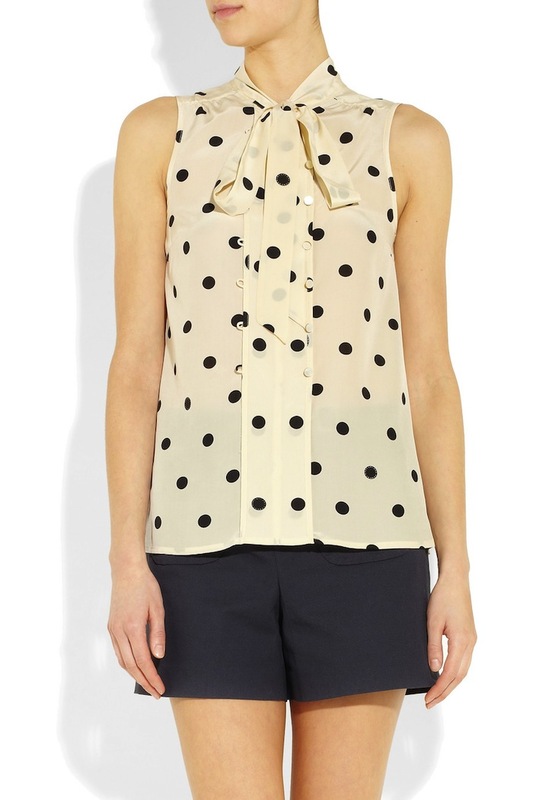 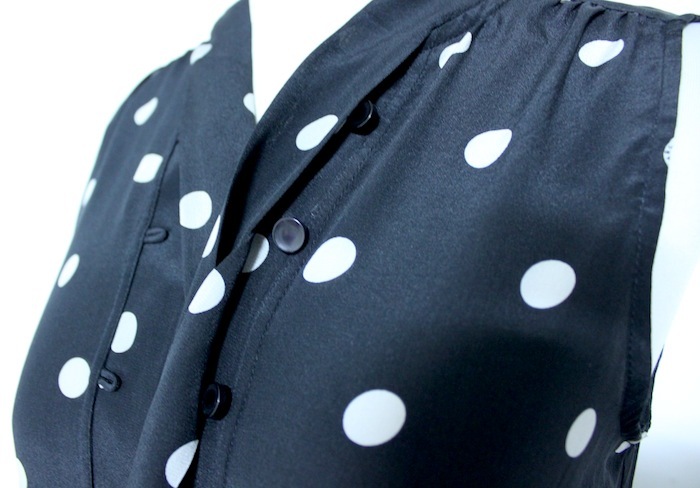 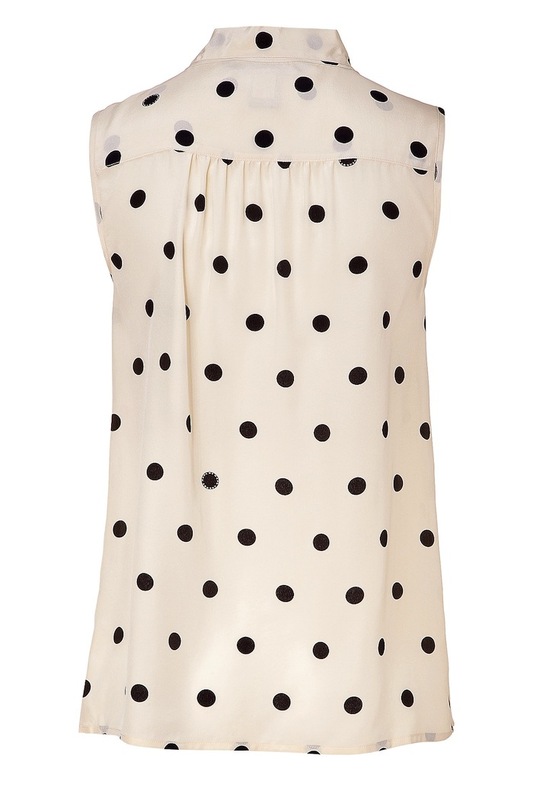 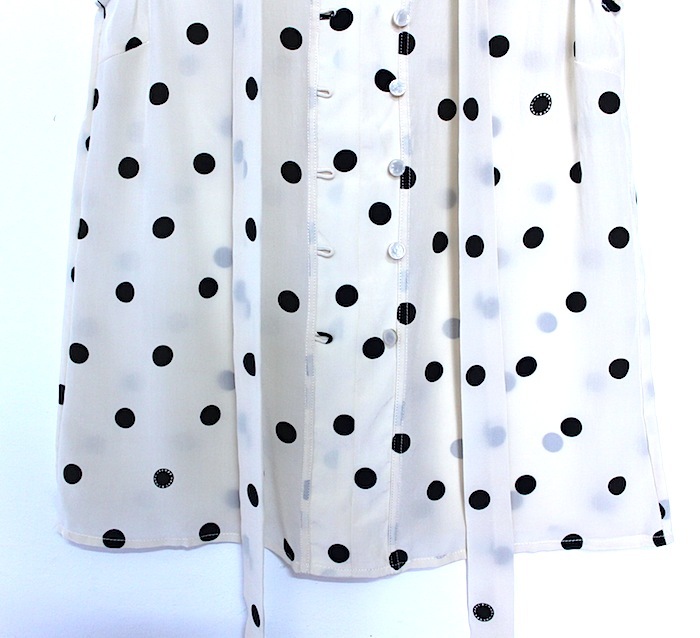 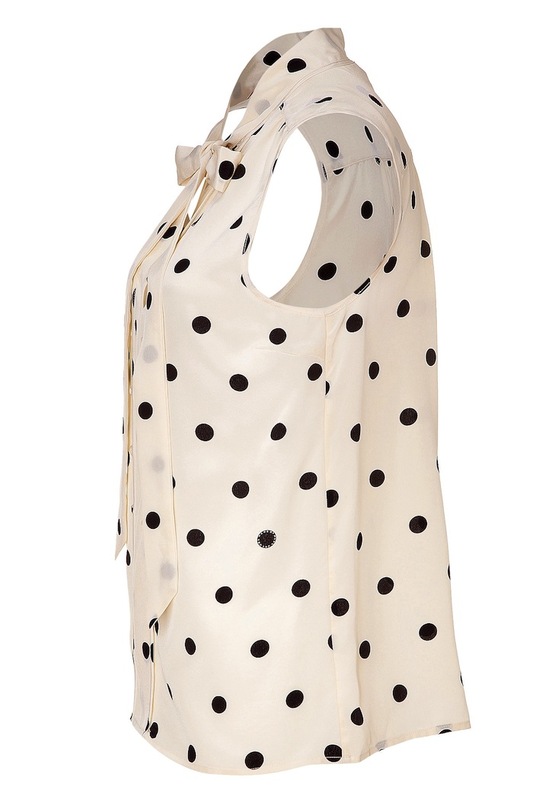 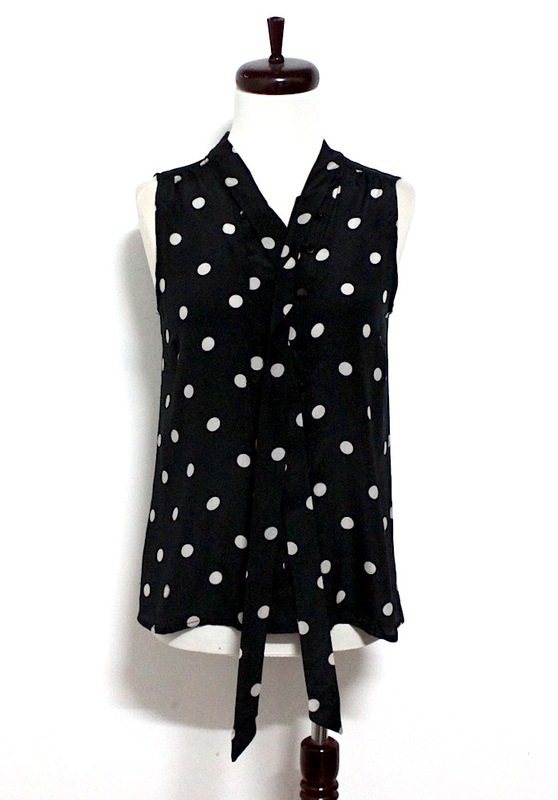 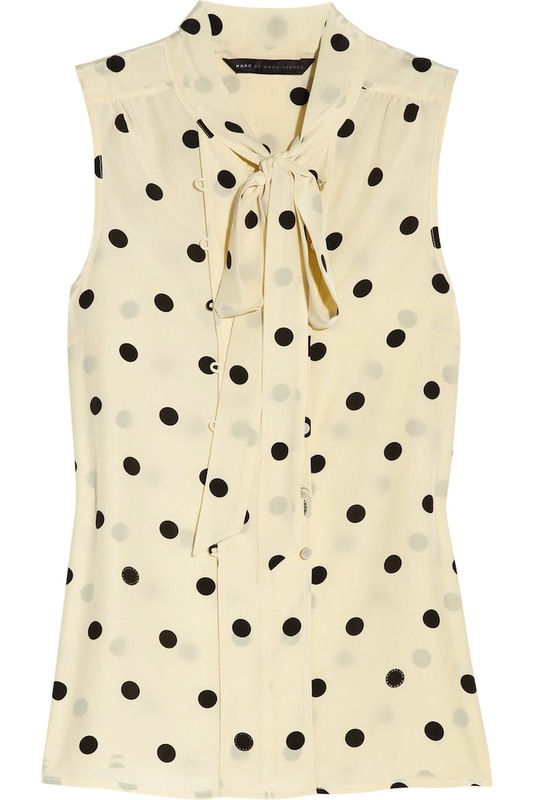 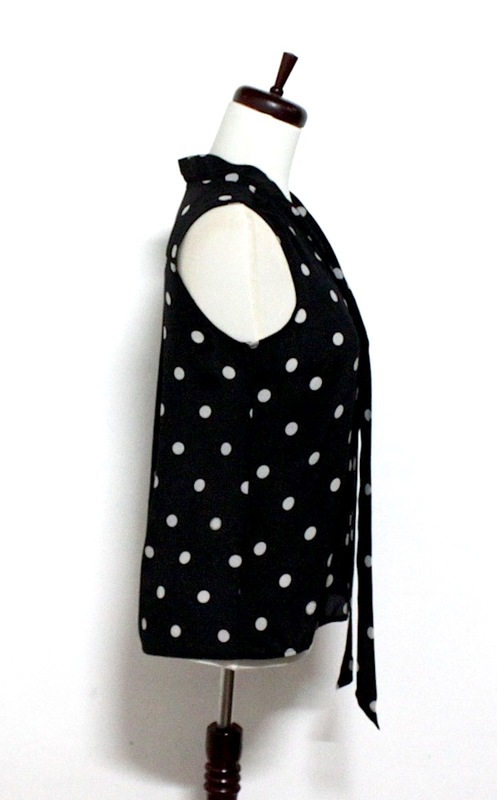 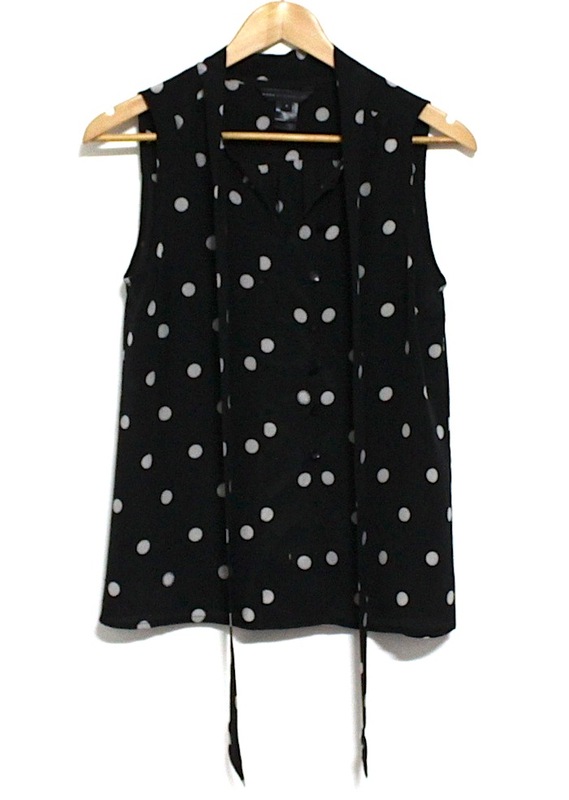 Playful yet elegant, this polka dot printed top brings stylish pop to your day or evening look. 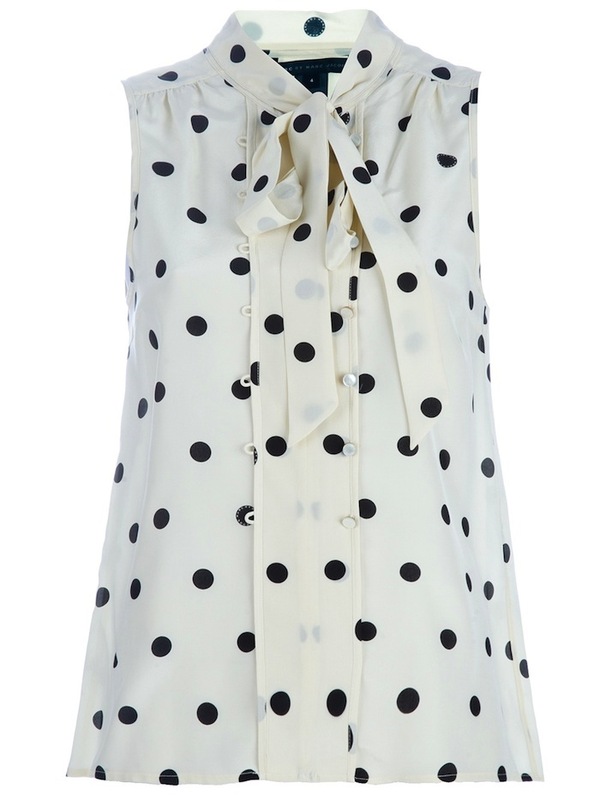 High neck with V cut-out and tie detail, front button placket, sleeveless, A-line silhouette, back pleat detail, all-over print. 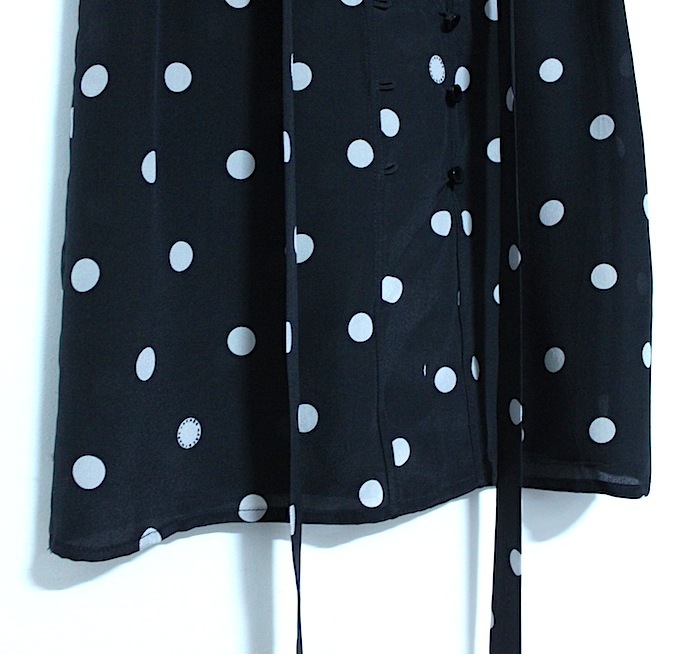 Material: 100%Silk.